Larissa Another Day: It is Still Thursday, Right??? I am really off my game. 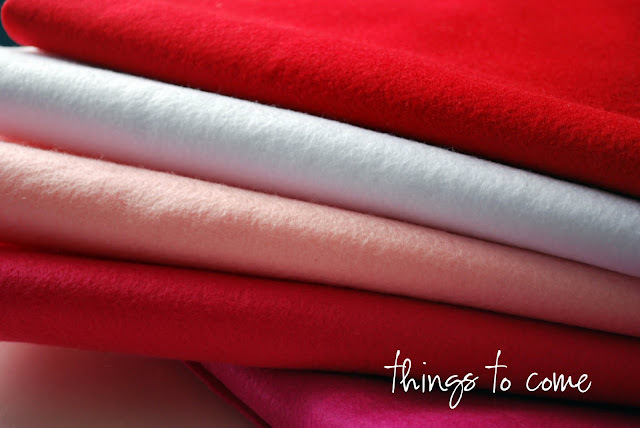 So for the awesome few of you who come to expect Recipe Thursdays here is a special treat for you...Recipe Mock Thursday...aka I-just-didn't-get-around-to-posting-yesterday-so-I-am-pretending-today-is-Thursday. As I said last week, we are trying to make things a little healthier this year. This week Spencer had a travel day, and normally on these travel days I have cereal and the boys have (insert unhealthy processed meal from a box here). This week though I decided to stick to our healthy goal. I made the boys homemade chicken strips and fries. 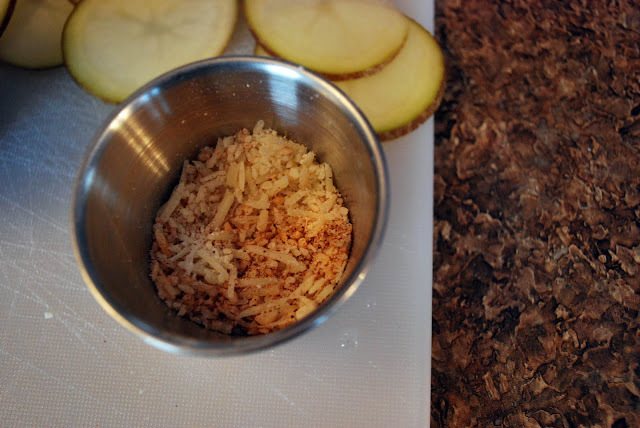 I searched out a couple of homemade fries recipes and ended up with this adaptation. I determined this combo of spices was pretty kid and mom friendly (although Jack still said they were too spicy). 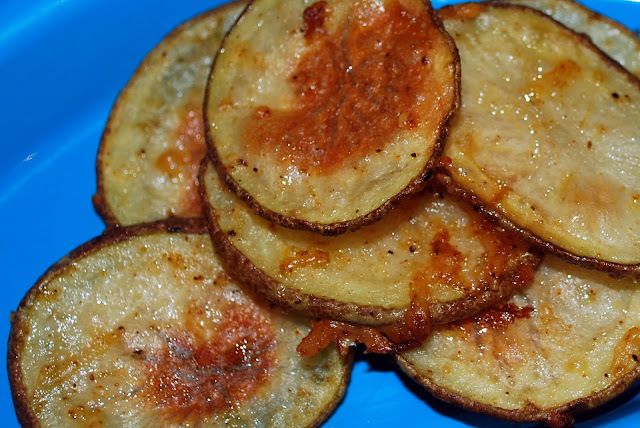 Enjoy some healthy fries with none of the fries guilt! Wash potatoes. Thinly slice, trying to make as uniform as possible. 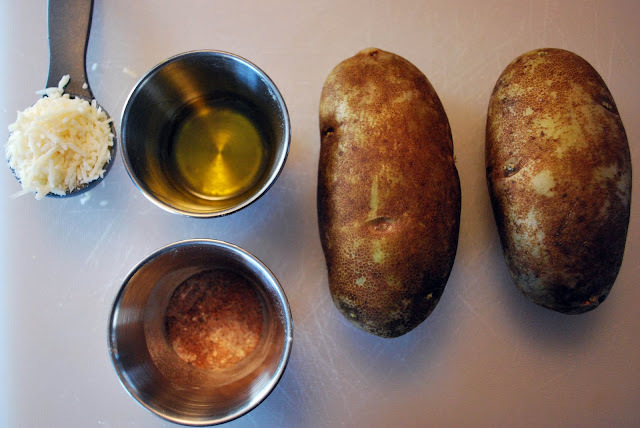 Combine potatoes with just dry ingredients, stirring to coat. 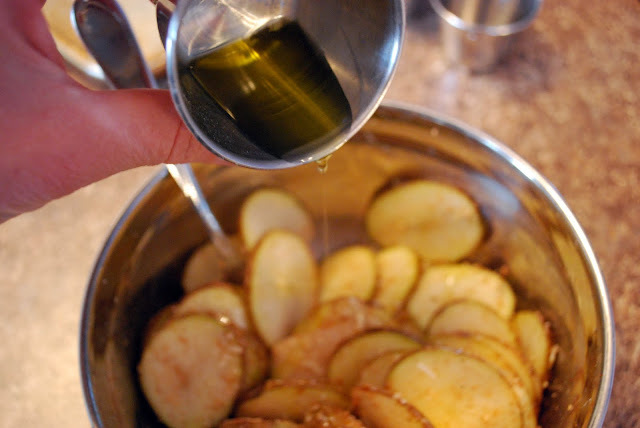 Drizzle with olive oil, and then toss to coat evenly. Preheat oven to 450 degrees. Spray a cookie sheet with cooking spray. 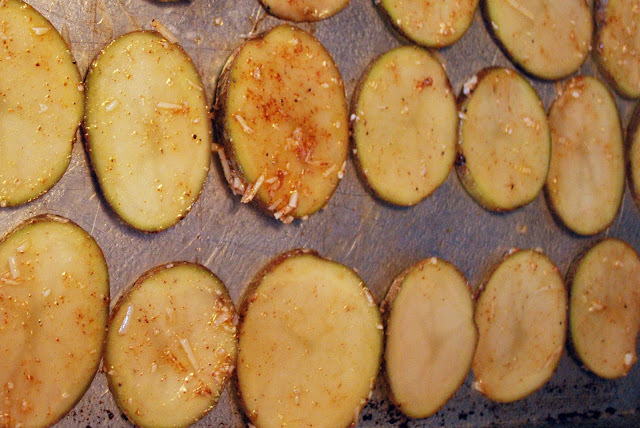 Lay potato slices in a single layer on cookie sheet. Bake for 20-25 minutes or until golden. Make sure to watch. 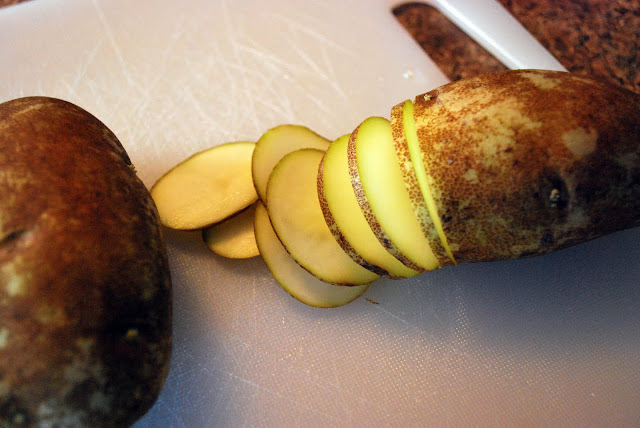 If your potatoes slices very in thinness some may burn. Serve to your kiddies with a side of homemade chicken strips (I made these by coating chicken in a mixture of crushed baked lays, basil, Parmesan cheese and garlic salt) and low fat ranch. Then anticipate accolades of praise and declarations that you are, "the bestest cook ever". Here's to heart healthy Fries!